On 27 July communities pertaining to the National Indigenous Congress (CNI) from Chiapas met with adherents to the Sixth Declaration of the Lacandona Jungle, written by the Zapatista Army of National Liberation (EZLN). 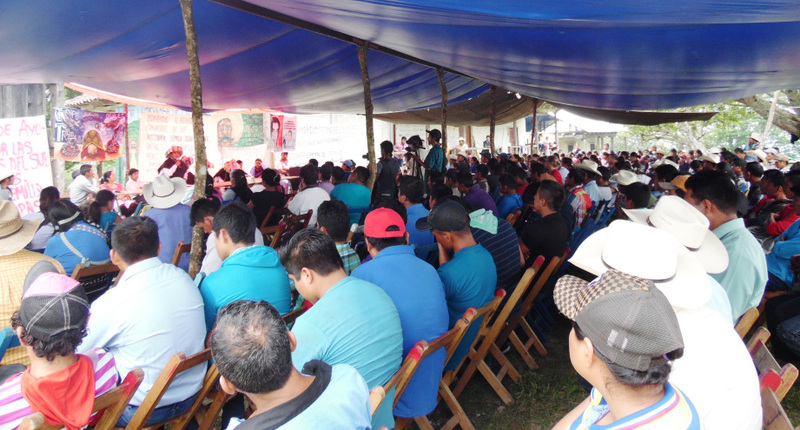 The meeting was held in the community of Cruztón, Venustiano Carranza municipality, Chiapas, where the communities of the CNI-Chiapas discussed the problems they confront. Present at the meeting were the Las Abejas Civil Society, the ejidatarios from Tila, and constituent groups of the Semilla Digna (“Dignified Seed”) organization. In a joint pronunciation, they expressed solidarity with the communities of San Francisco Xochicuautla, Mexico State, for the plundering of their lands; Santa María Ostula, Michoacán, where the Army killed a girl of 12 years of age and arrested a commander of the communal police; and with the communities pertaining to the La Garrucha caracol that live on lands appropriated by the EZLN and have faced several attacks by paramilitaries. In the communique, the CNI affiliates declared themselves in favor of autonomy, the defense of Mother Earth, and resistance gainst megaprojects. In this way, they also demanded the release of the spokesperson for the Yaqui nation, Mario Luna, and the appearance with life of the 43 forcibly disappeared students from Ayotzinapa. In a communique from 25 June, Subcomandante Insurgente Moisés of the Zapatista Army of National Liberation (EZLN) made known the facts of a new attack on Zapatistas on recuperated lands in the El Rosario community, which belongs to the autonomous municipality of San Manuel. The Subcomandante also includes the denunciation made by the La Garrucha Good-Government Council (JBG) regarding the events. The “Path to the Future” JBG explains that 28 “paramilitaries” from the Chiquinibal neighborhood of the Pojkol ejido arrived on 24 June to El Rosario, 8 of them openly carrying firearms. 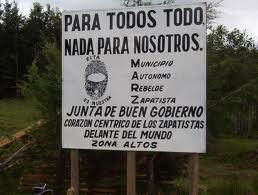 According to the JBG, in this community there live 21 “paramilitaries” who occupy lands recovered by the EZLN in 1994. According to the JGB, there was a meeting between these paramilitaries with an engineer and Guadalupe Flores, the owner of the lands in question before the 1994 uprising. The JBG claims that this group carried out measurements of the lands, supposedly to plan the subsequent construction of a church and homes. It adds that 10 gunshots were fired behind the home of a Zapatista support-base (BAEZLN) to intimidate the population, and that the aggressors entered two other homes and destroyed yet another, robbing the belongings of its inhabitants: animals, construction materials, tools, food, and cash. The JBG concludes that the engineer and the landowner are advisors to the paramilitary group. It should be recalled that the La Garrucha JBG had in August 2014 denounced actions taken by this same group, including the killing of a stud bull, the destruction of homes and a collective store, robbery, the defoliation with pesticides of common grazing lands, shooting of live ammunition, and the writing of “Pojkol territory” on burned-out homes. In May 2015, the JBG denounced that one of them shot at a BAEZLN girl. The JBG holds the federal, state, and municipal governments responsible for any acts that might follow, and it calls on the public to remain attentive. 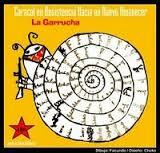 On 11 May, the La Garrucha Good-Government Council (JBG) from Caracol III publicly denounced two attacks: one in the El Rosario community, on recovered lands belonging to the autonomous municipality of San Manuel, and the other in the Nuevo Paraíso community, which pertains to the Francisco Villa autonomous municipality. According to the JBG, there are two paramilitary groups in the region: one made up of 21 people from El Rosario, and the other comprised of 28 individuals from the Chikinival neighborhood, which pertains to the Pojkol ejido, in the Chilón municipality of Chiapas state. 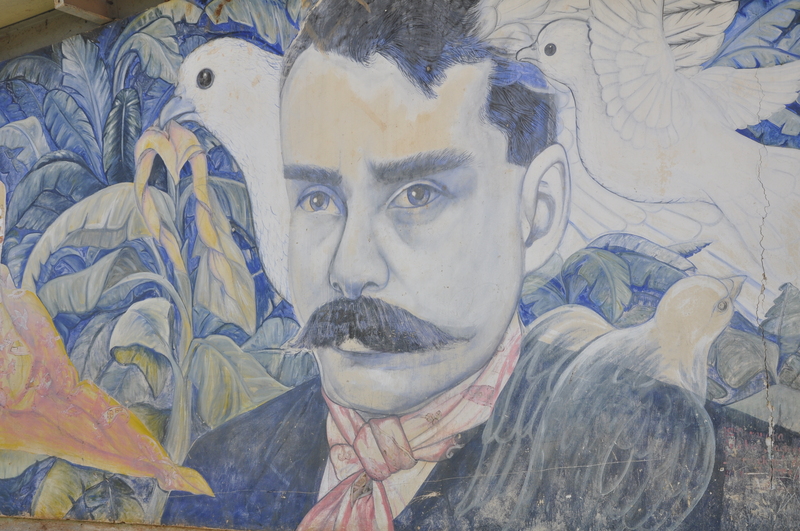 The acts described in the denunciation took place on 10 May, when the Chikinival group arrived to El Rosario and began to measure the recovered lands of the Zapatista Army of National Liberation (EZLN), where Zapatista support-bases (BAEZLN) also live. Two paramilitaries entered the house of one Zapatista, and another fired on the Zapatista daughter when she tried to escape the home. The father of the child then threw a stone at the aggressor, causing him head injuries. The next day, the family of the injured attacker came to demand 7,000 pesos from the BAEZLN as compensation. The JBG assures that this amount will not be provided, given that the Zapatista did not seek or initiate the violence. Also on 10 May 2015, 16 people from Chikinival entered the Nuevo Paraíso community, armed with two pistols and a rifle. “They came to leave a letter in the street which blames the Zapatista support-base comrades for having provoked these conflicts,” says the JBG. Beyond this, the JBG adds that in this case it has initiated mediation, deciding to transfer 21 hectares to put an end to the threats, though this has not yet resolved the problem. The authorities from the Pojkol ejido claim to oppose this group from Chikinival, given its lack of respect and obedience for the ejidal authorities. 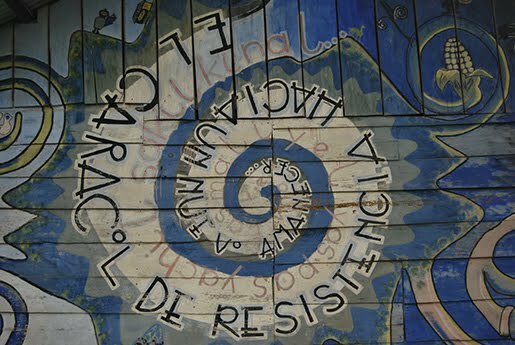 These two incidents took place the day after the close of the seminar on “Critical Thought amidst the Capitalist Hydra,” which was organized by the EZLN and held from 3 to 9 May in CIDECI-Unitierra Las Casas, where academics and activists shared their thoughts and reflections regarding the present context and alternatives to the capitalist system. On 25 February 2015, the Fray Bartolomé de Las Casas Center for Human Rights (CDHFBC) published a bulletin indicating the death-threats and harassment against residents from El Rosario and Nuevo Paraíso, which are communities that belong to the Good-Government Council (JBG) in La Garrucha (official municipality of Ocosingo). According to the bulletin, “on 12 February 2015, this Human Rights Center documented in the El Rosario community the destruction of the lands of a BAEZLN and the tense situation that has been lived there for the past 3 weeks, due to incursions by armed men from Pojcol, Chilón municipality, Chiapas, who fired into the air during the night. According to testimony, the attacking group was comprised of people from Guadalupe Victoria and El Rosario who facilitated the attacks, death-threats, and harassment targeting the BAEZLN. Denuncia el Frayba amenazas a bases zapatistas en El Rosario, Chiapas, La Jornada, 26 de febrero de 2015. 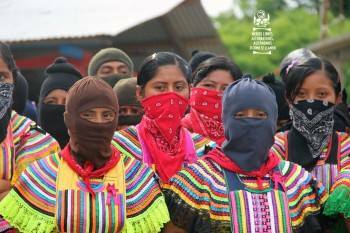 From 8 to 10 August, members of the Zapatista Army of National Liberation (EZLN) celebrated 10 years since the founding of their autonomous governments, corresponding to their form of implementing the San Andrés Accords, which were signed by the EZLN and the federal government in February 1996. At the cultural, political, and sport events that accompanied the celebration, there were present many intellectuals and activists from Mexico and other countries. In 2003, the EZLN announced the creation of five Good-Government Councils (JBGs) corresponding to 5 autonomous regions in the state of Chiapas, based in La Realidad (border zone), La Garrucha and Morelia (Jungle highlands), Oventic (central highlands), and Roberto Barrios (close to Palenque). Starting on 12 August, they will share the advances and difficulties of their form of self-government with the students at the “Escuelita” (little school).